So many quilts to make, so little time! 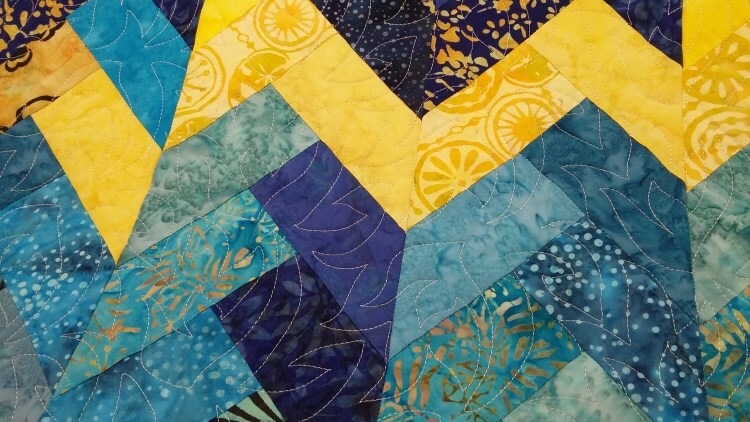 Free up more time for sewing by letting Kadydid Studio quilt your pieced tops for you. If you're like me, you're already thinking about the next quilt you want to make while still working on the current project. I just can’t wait to start the next quilt. But a pile of unfinished quilt tops, waiting to be quilted, doesn’t do anyone any good. Let me help you! 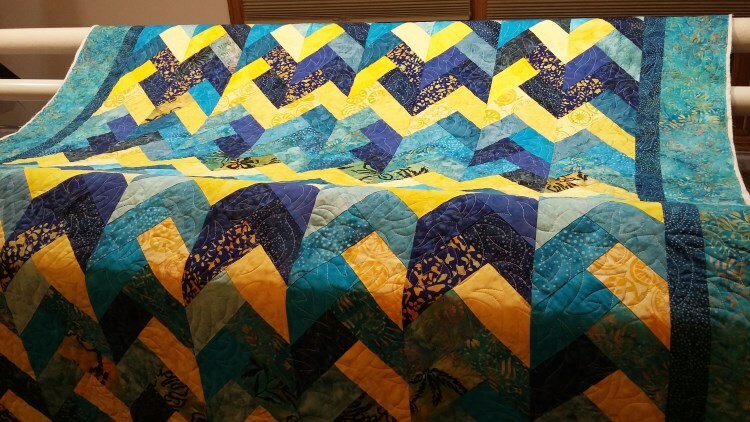 I can quilt your quilt so you can start piecing your next one. Use my intake form to select your quilt design, thread color, batting and binding options. 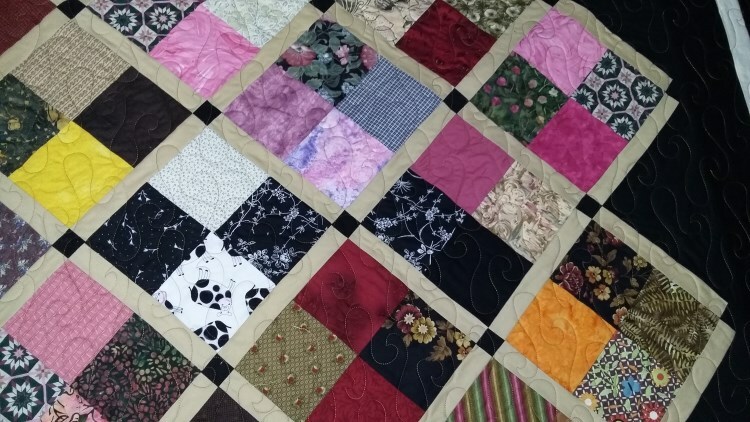 Submit your request and I will contact you with a quote, to answer any questions, and to provide information to drop off or ship your quilt to me. Choose from a selection of decorative pantographs that will compliment your quilt design. I would be happy to make a recommendation, but the final design choice is your decision. 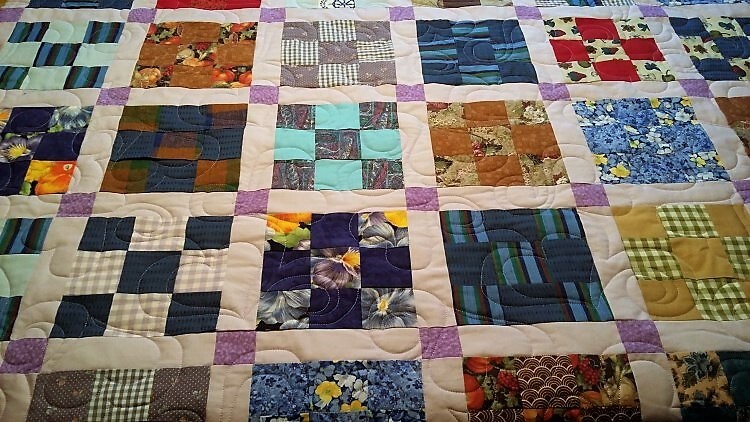 I will consider custom quilting on a case by case basis and will provide a quote upon request. 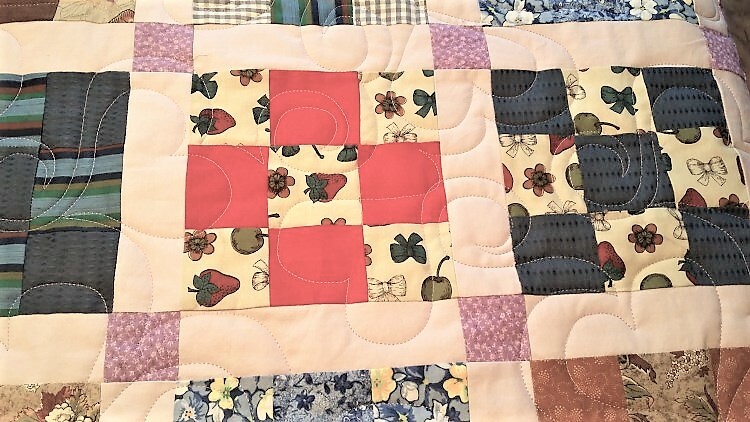 Do you want your quilt pattern to take center stage and let the pantograph (stitching) provide texture? Then select a color that blends with the fabrics. To make the pantograph design pop, select a contrasting color. You can supply your own batting or purchase it from me. Batting and backing need to be 8" wider and longer than your quilt top (4" extra on all sides). This means if your quilt is 50" x 60", your batting and backing must be 58" x 68". This extra fabric is needed so I can attach your quilt to the quilting frame. All extra fabric will be returned to you. As noted with the batting, both batting and backing must be 8" wider and longer than the top. If you piece the backing trim selvages from the seams because they shrink at a different rate than the rest of the fabric. Allow a wider seam allowance, 1/2" - 5/8", and press seams open. If you prefer I piece your backing, check that option on the intake form. Options, options, and more options! Let me know if you want me to apply the binding or if you plan to do so. Refer to the intake sheet for specific options. If you live in the Grand Rapids, Michigan area we can make arrangements for drop off and pick up of your quilt. If you will be shipping your quilt to Kadydid Studio the client is responsible for all shipping costs. 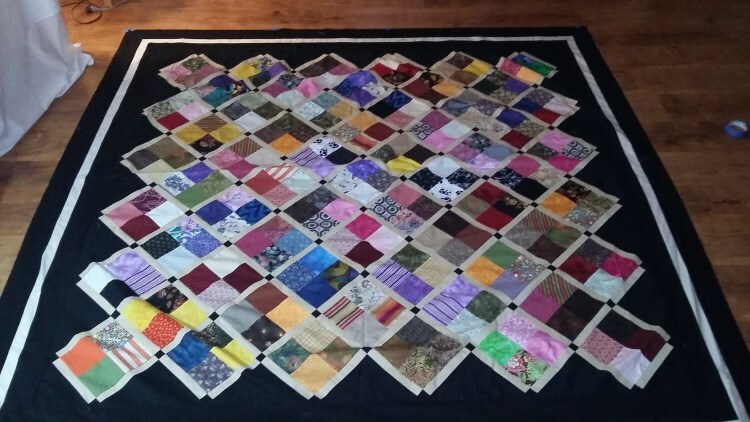 Once your quilt is finished I will be able to determine the actual shipping cost. Payment for the quilting services and shipping must be received before I ship the completed quilt. Please note the prices on the intake sheet are for your use to estimate the cost to have your quilt quilted. I will confirm your quote and a 50% deposit is required before I place your quilt on my schedule. I will notify you when your quilt is complete and the balance is due upon pick up or prior to shipping. Above photo is before quilting. Quilt top pieced by Marge M.
Below photo is after quilting. Quilted by Kadydid Studio LLC.